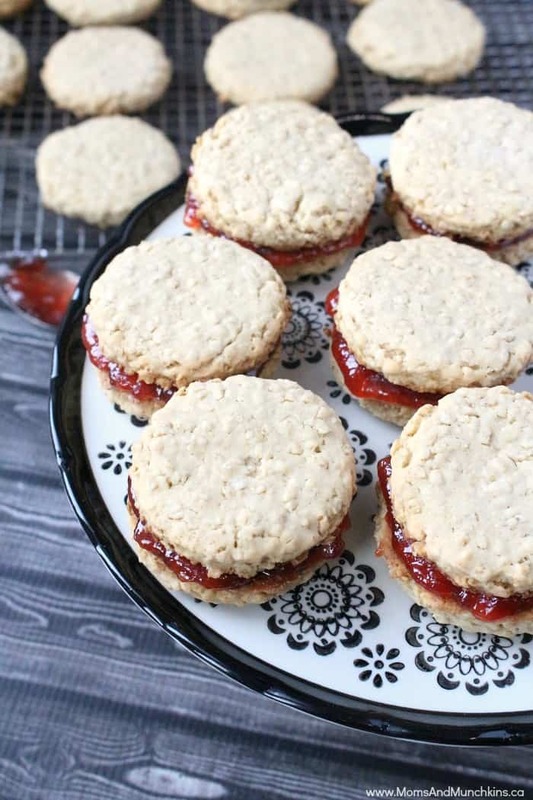 My grandma’s Jam Jam Cookies recipe is famous throughout my dad’s side of the family. I’m pretty sure the recipe has been passed around several times. For those in my family that don’t bake, grandma bakes a batch for them every Christmas and ships them out as gifts. They’ve even traveled all the way from Canada down to Arizona! They arrived a crumbly box of cookie crumbs but they were still gobbled up quickly. Trust me, these are good cookies! They take a bit of time to make but they are well worth the effort. I should note that the cookies themselves are not very sweet. The sweetness comes from the jam filling. These cookies take a bit of effort but they are well worth it! I should note that the cookies themselves are not sweet. The sweetness comes from the jam filling. Cream margarine and sugar together (with an electric mixer) until light and fluffy. Add milk then oats. In a separate bowl, mix flour, baking powder and salt together. Stir until mixed. Gradually add the flour mixture to the margarine mixture, stirring well between each addition. Cover the bowl with plastic wrap and store in the fridge overnight. Roll the dough out to ⅛" on a lightly floured surface. Cut circles using a cookie cutter or an upside down drinking glass. Grease cookie sheet and bake at 350F for 12-15 minutes. Cookies should still be light and slightly chewy. 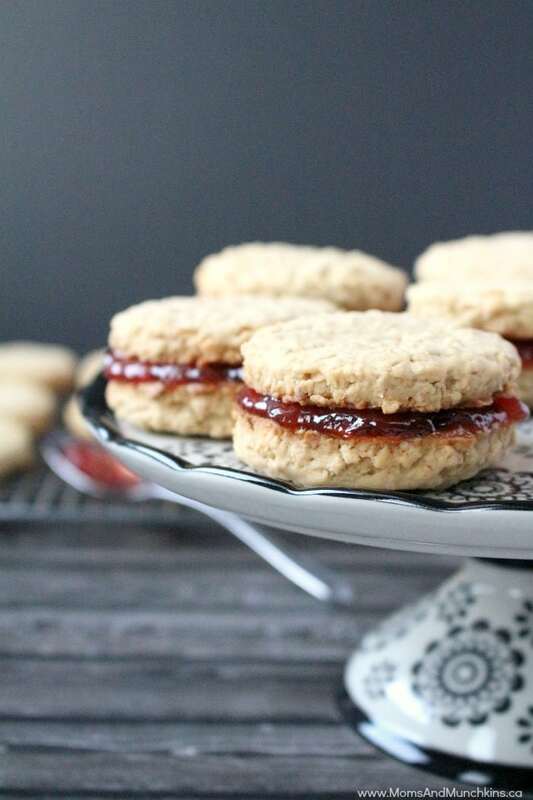 After cookies have cooled, place jam on the bottom side of half the cookies and place another cookie on top of each to create jam cookie sandwiches. Store in fridge in an air-tight container. 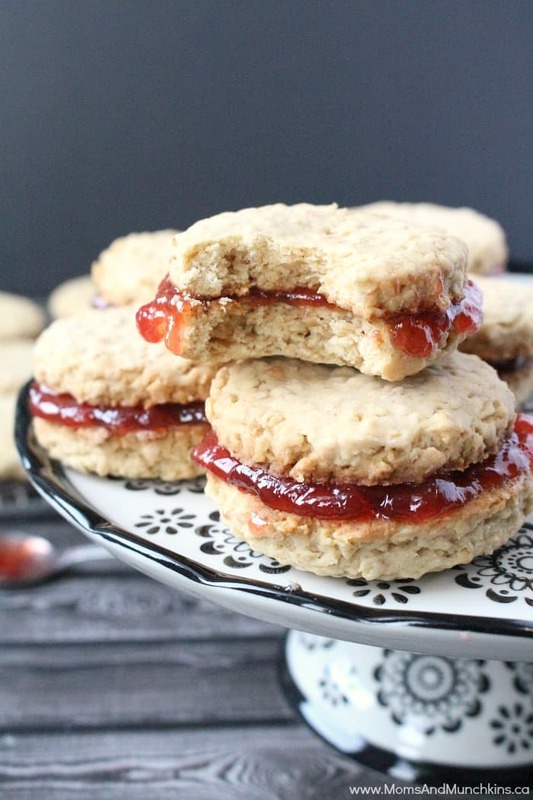 *Grandma’s secret is that she fills hers with date filling instead of jam. I prefer Grandma’s date filling but jam is so much easier when I make them myself because I just grab the jar out of the fridge. For more delicious ideas, visit our Recipes page. 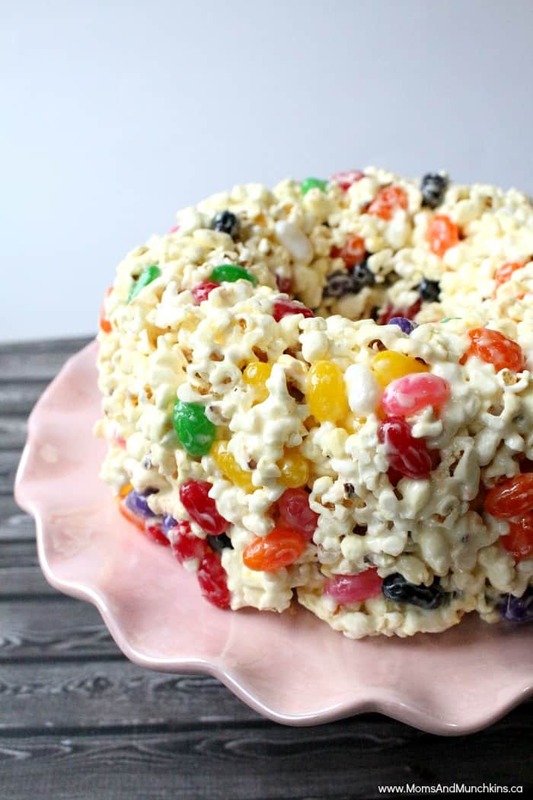 For another special recipe from Grandma, check out this Popcorn Cake. We’re always adding new & tasty ideas. Never miss an update by following us on Facebook, Twitter, Pinterest, and Instagram.